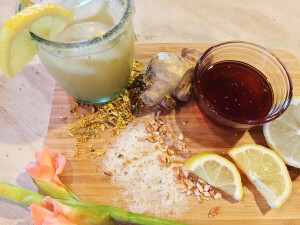 The Bee’s Knees cocktail is an ab-so-lute-ly fun and easy cocktail to make. It is a sure crowd pleaser and easily the butterfly’s boots. Comprised of gin, lemon and honey, it’s an American classic that dates back to prohibition. The phrase the “Bee’s Knees” most current usage stems from slang used in the USA in the 1920’s. During that era, a whole collection of “flapper-chatter” slang terms were coined and a few with the meaning of a great thing or people, such as the cat’s whiskers, the cat’s pajamas, or the bee’s knees. During prohibition, the addition of ingredients such as citrus and honey was often used to cover the less than ideal smell and taste of bathtub gin. Improving the taste of an inferior gin may have been the goal, but the result was a fantastic concoction that can hold its own today. 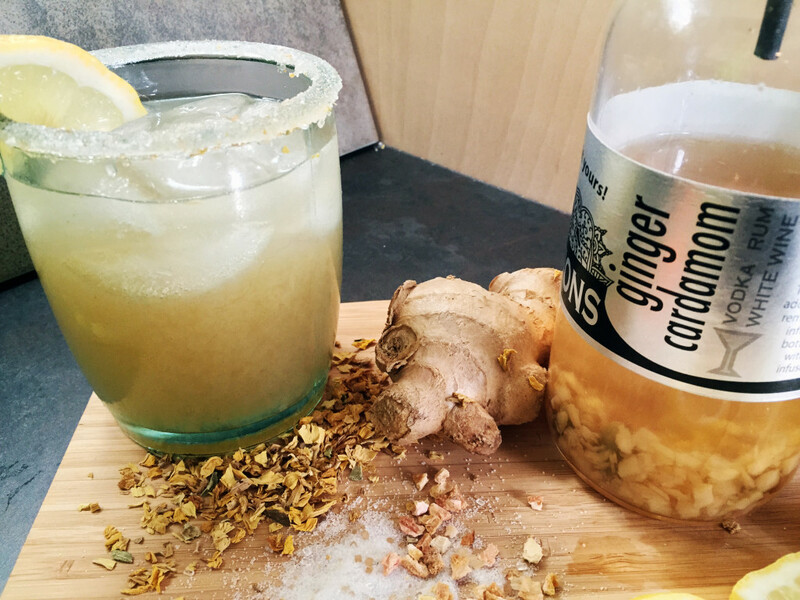 The honey and lemon certainly do a swell job masquerading the liquor yet with the added twist of infusing it with rokz Ginger Cardamom Infusion kit the flavors hit on all sixes, and it becomes a whole new giggle water classic! So get dolled up and invite some friends over to serve this drink all spiffed up with rokz Lemon Drop Infused Sugar, a slice of lemon, and a honey stick as a stirrer. In a small, heavy bottom saucepan, combine 4 oz honey and 12 oz warm water. Bring to heat, so the honey melts slowly and cook just below simmer for 5-10 minutes. Use a spatula to scrape sides and bottom of pan regularly. Makes approx 16 oz. Store in a sterilized pint-size glass jar and keep refrigerated up to two weeks. 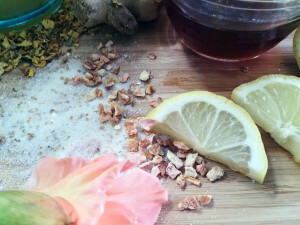 Combine 16 oz gin (we used New Amsterdam) with rokz Ginger Cardamom Infusion kit. Infuse for 2-4 days; we found that we liked it at the 3-day mark. 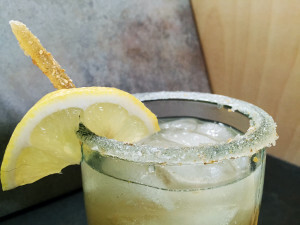 Rub a fresh lemon slice around the rim of a 10oz glass and then dip and turn the rim in rokz Lemon Infused Sugar. Add ice cubes to glass and pour contents of shaker over ice. Garnish with a fresh lemon slice and a honey stick for a stirrer.